Have you ever stood in the middle of an art exhibition and just wondered how all of the amazing pieces were produced by human minds? That’s exactly how I felt whilst in the midst of Year 11 GCSE art pieces, and I felt daunted that soon I would have to produce something of that amazing standard. The beautiful exhibition displayed a range of pieces, from paintings to carved wooden blocks. 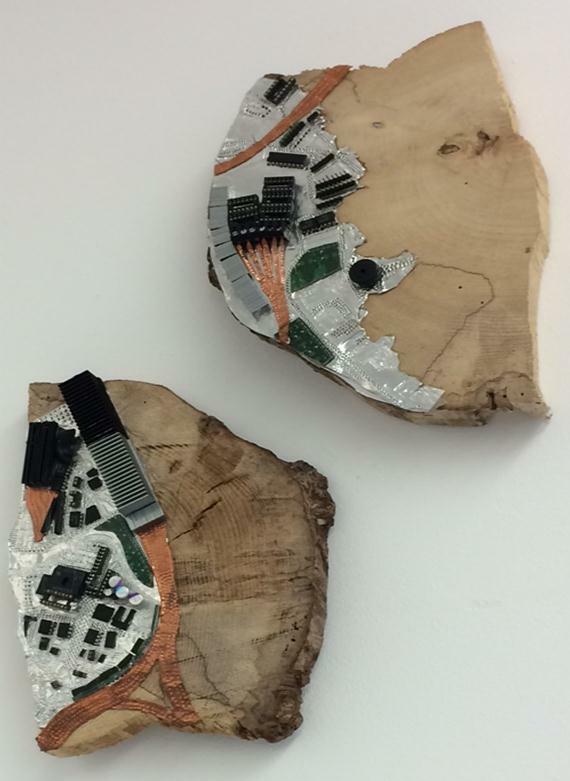 One particular piece that caught my eye was by Hasan Cuthbert (below), which showed rough pieces of wood, half covered with metal and electronic components. I liked this piece in particular because of its contrast with texture and colour, and yet he had put electronics on wood, and still made it look like they belonged there. To me this piece portrayed a harmony between opposites, and how we (represented by the electronics) have modified our lives to fit around nature (represented by the wood). This piece was partially inspired by the artist Ella Robinson, who visited the school earlier this year. Ella works with wood and wool, wrapping the wool around to create patterns and shapes, while leaving some parts of the wood exposed. I like how Hasan has used her work to create something new and completely different. Another piece that I liked was by Carlos Reichmann (below), which showed cogs in different positions and drawn with different techniques. 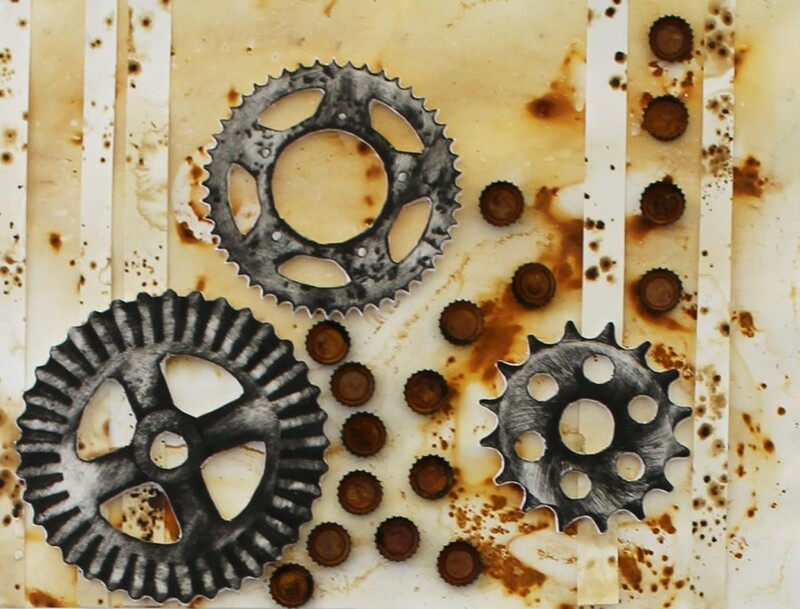 I liked it because of how he shows a contrast with the cool metal of the cogs and the warm colour of the background (in the main piece made from coffee). I also like how he let it interact with the background, and used different textures to enhance this. This year I have learnt how to work with clay, producing a sculpture based on food and the body. I have also learnt sewing techniques and screen printing, making a piece showing the body and mind, and I have refined my drawing skills. Although I know next year there will be the added pressure of an advancing GCSE and achieving the best results, I still look forward to another year continuing art at The Perse.